The new HEWI colour concept opens up numerous design options: As a clearly defined colour world it lends a building an individual character. 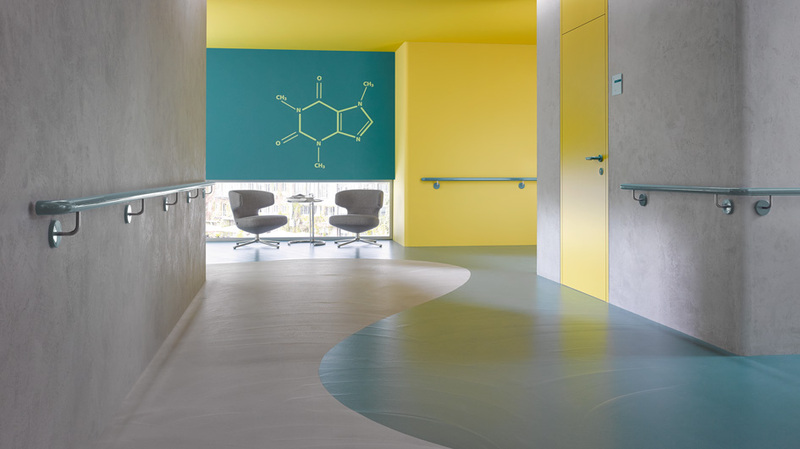 Colour gives a room or space structure and is therefore extremely suitable as a guide system, which assists orientation in the building. 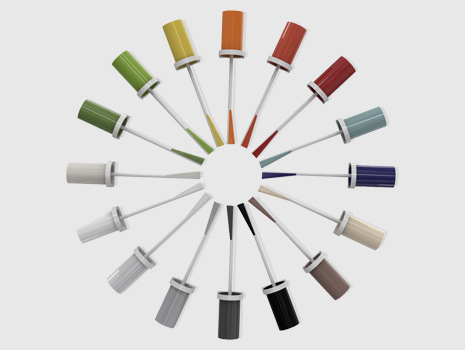 The colour range of the 16 HEWI colours has been coordinated to produce diverse combination options. All HEWI polyamide systems and ranges can be combined with each other. 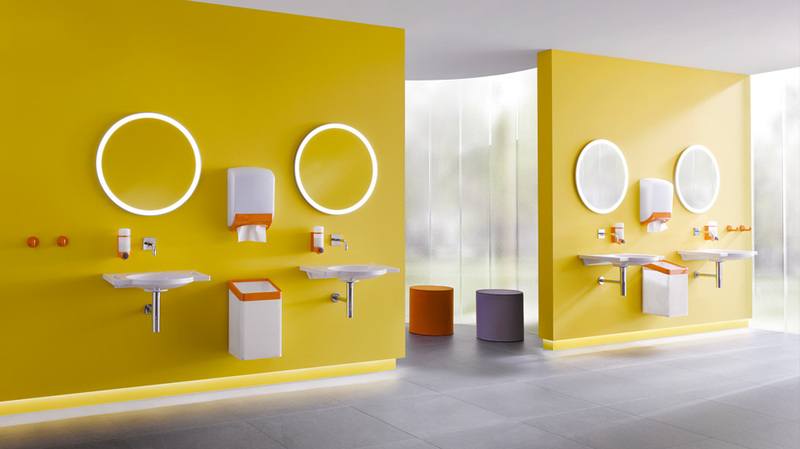 The modular principle enables consistent design from the door through to the sanitary room. The new colour concepts allows all HEWI polyamide systems to be individually brought together to form a coherent design concept. 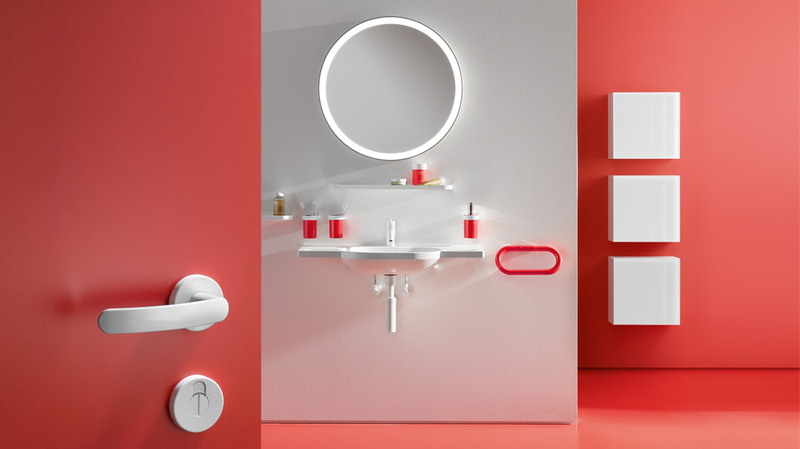 It is multi-system and includes sanitary accessories, hardware, handrails and accessibility products and thus enables consistent design with colour. 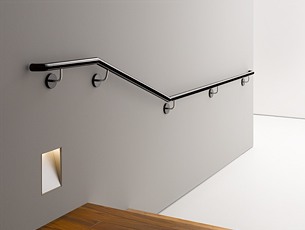 Apart from a large selection of door lever fittings, each HEWI hardware range includes special project solutions, for example, panel or fire door hardware. Matching window handles, emergency exit hardware, pull handles and door accessories complement the offering. 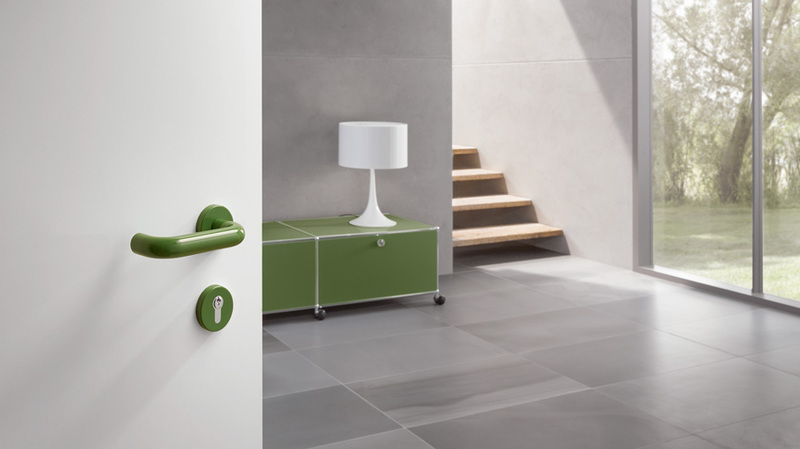 Material and surface options within the hardware ranges create design freedom. Tailormade products enable a coherent overall concept to be implemented, which is matched to individual requirements, right down to the smallest detail. HEWI offers a large choice of different designs. 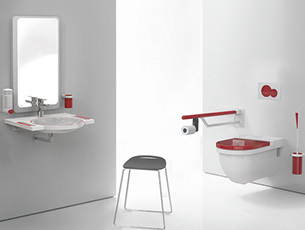 Each sanitary system includes accessories, not only for highly frequented sanitary rooms but also for the private bathroom, and accessibility products. A coherent colour concept serves as an orientation aid, for example, to increase the recognisability of the storey or a ward in a hospital. 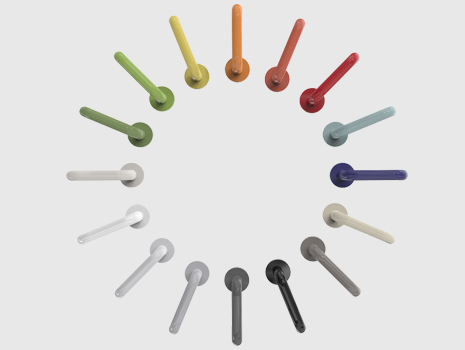 Coloured handrails and door lever fittings are easy to use guidance systems for people with limited sight. 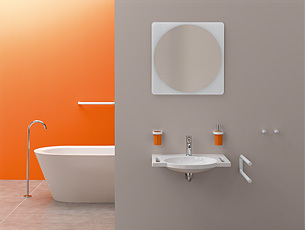 Implements of daily use, for example, sanitary accessories can become easier to perceive if they stand out against their surroundings through high-contrast colour. If only the functional area of the product is designed in colour, the colour accent signals use of the product and facilitates intuitive use. Coloured contrasts can be used, for example, to facilitate perception of their environment for people with dementia. Following these design requirements, HEWI has developed a washbasin as well as suitable bathroom accessories and accessibility products.